Autoimmune Nuetropenia: Granuloma Annulaire or Insulin Toxicity? 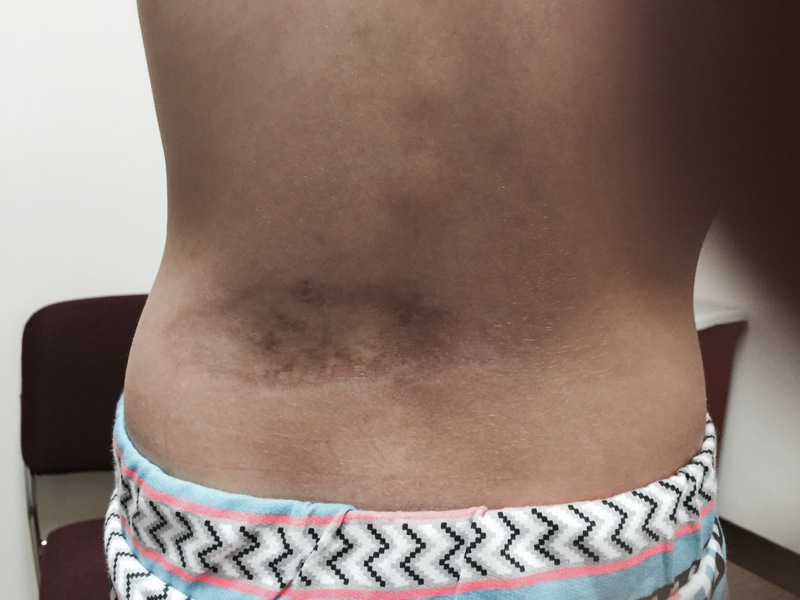 Skin lesion on the back of 13-year-old girl with autoimmune neutropenia which was considered to be granuloma annulaire (see the photograph below). The cause of this skin lesion is considered unknown. The patient had elevated blood levels of insulin. I have seen similar skin lesion with areas of pigmentation and depigmentation in many in insulin-toxic individuals. Note the areas of skin pigmentation changes in areas above the lesion diagnosed as granuloma annulaire. Microscopic features of both conditions can be similar. When the cause of one specific skin lesion is clear known (insulin toxicity) and that of the other considered “unknown,” which diagnosis is makes more sense? The insulin is easy to define and correct, while there is no known-cause-dirrecyted treatment of granuloma annulaire. The young girl is feeling better with nutritional therapies and control of bowel fermentation. She was also diagnosed with celiac disease. I have seen all symptom-complexes of celiac disease created by gut fermentation. The young lady had no previous history of wheat intolerance. So much for celiac disease!